the stage of the citadel and theater. just to be clear this "citadel and theater" i keep talking about is the same building. when bosra was the capital of the roman provence of arabia, this was the main theater for the city. 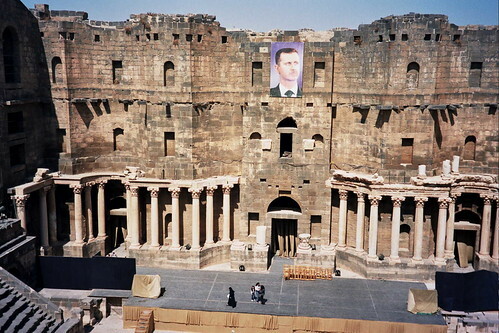 later, when the umayyad caliphate was founded, they converted the roman theater into a citadel, which was later reinforced by subsequent arab dynasties. 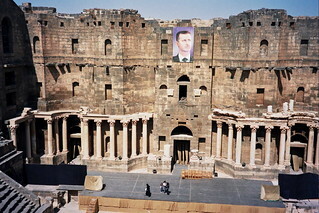 afterwards the citadel fell into ruins and now the stage has been restored and is still used for the bosra festival where it is a venue for drama and concerts.